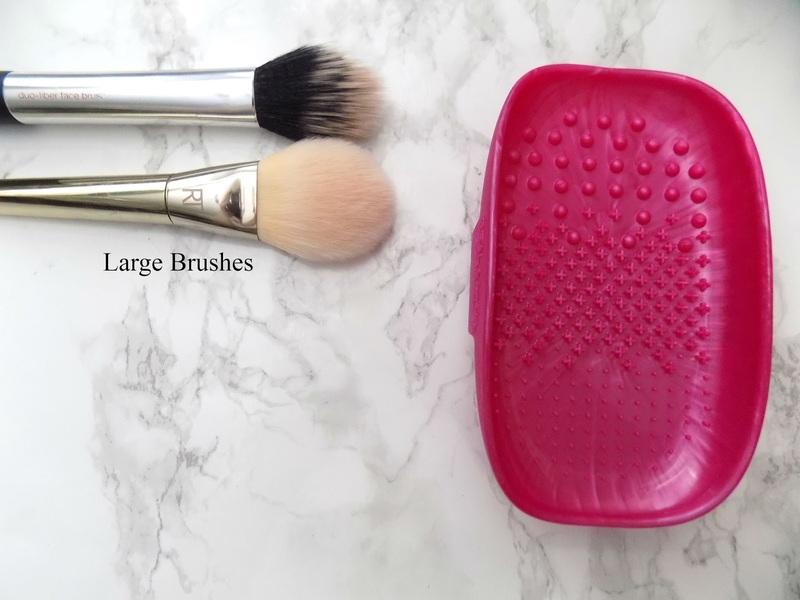 As I have been writing about the new things I've discovered this week, I thought I would continue and share my thoughts on the new Real Techniques Brush Cleansing Palette. When you purchase the Cleansing Palette £12.99 (cheaper at Superdrug than Boots) you get two sachets of the Cleansing Gel £6.99 (also, cheaper at Superdrug than Boots) along with the palette. The idea of the palette is that when swirling your brushes around, the multi-texture surfaces gently work into the bristles for a deeper clean. I don't know about you but I have a lot of brushes and using the palms of my hands to do umpteen brushes is not a fun task and prevents me from cleaning my brushes as often as I should. So, this has become a real life-saver in the brush cleaning department and it does a much better job at cleaning my brushes. It has a handle on the back to slide your hand in and then the tray rests in the palm of you hand. 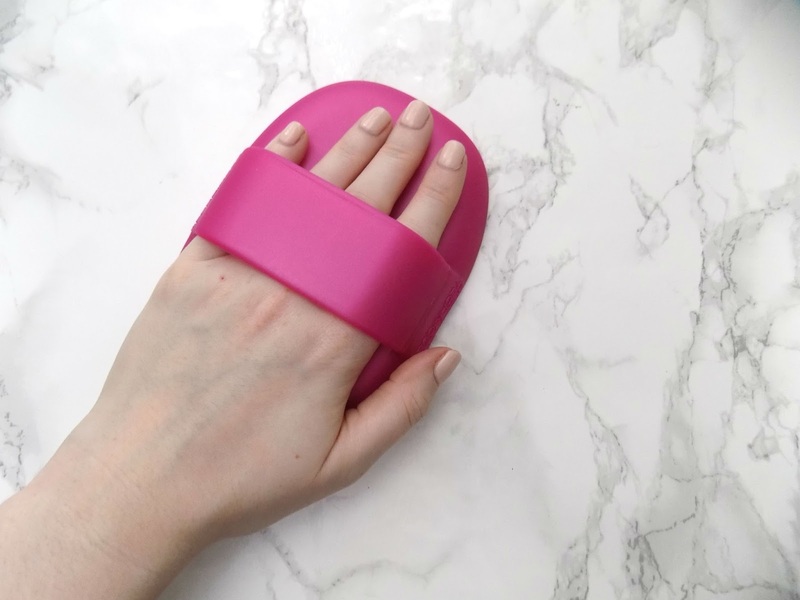 It's lightweight, silicone and fits comfortably in your hand. Easy peasy. The larger bumps at the top of the tray is for your larger brushes like your powder or bronzer brushes. These make sure that any powder which has seeped lower into your brushes are out and that the tips of your bristles are nice and clean. The slightly smaller texture in the middle is for your medium size brushes which would be suitable for something like your blush or highlighter brushes or even your foundation brushes as this section really gets deep into those bristles to make sure every last drop of makeup is out. 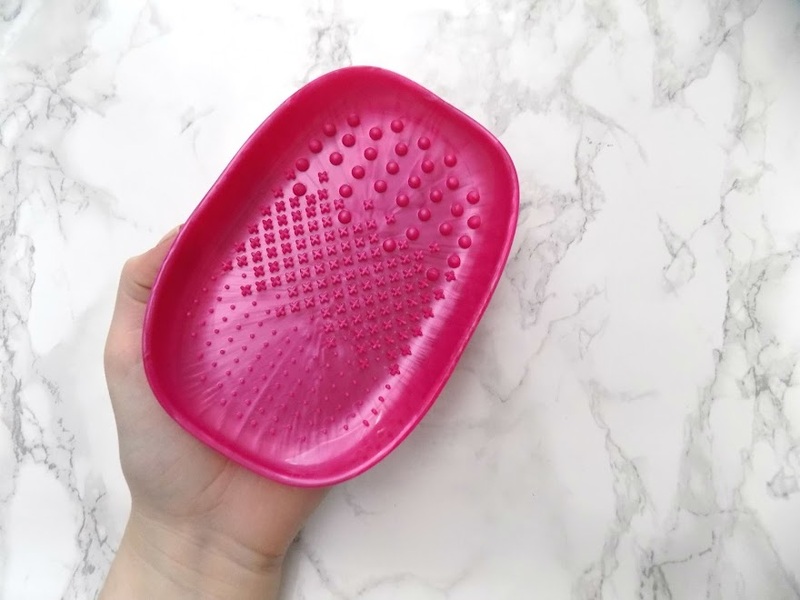 As for the smaller bumps at the bottom of the tray, these are for your smaller brushes, so your eyeshadow brushes are perfect for this section. 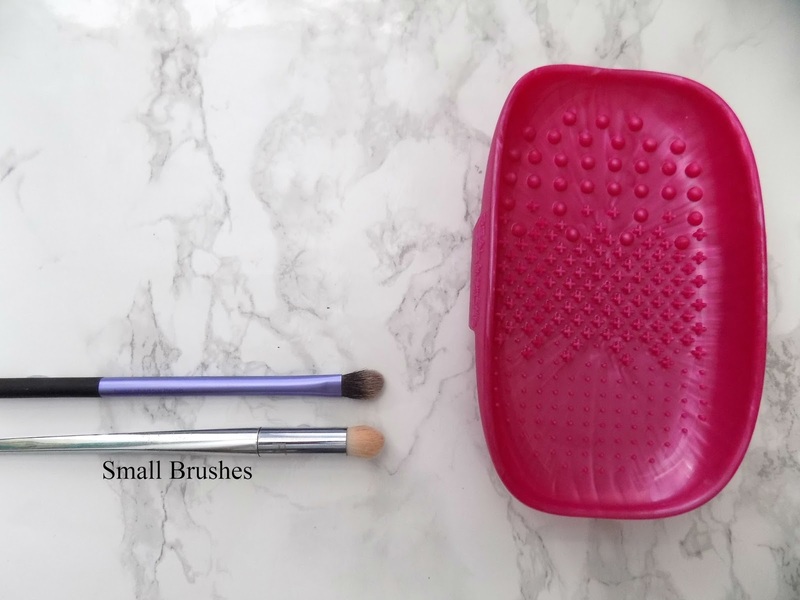 Because the bumps are so small, it means it can get right into those bristles to clean out any eyeshadow and make sure any pigment is gone so you can go back and get creative with nice clean eye brushes. Going back to what brush cleaners I use. I am a massive fan of solid brush cleaners and the Freedom Pro Studio Brush Bath is a really great affordable option. 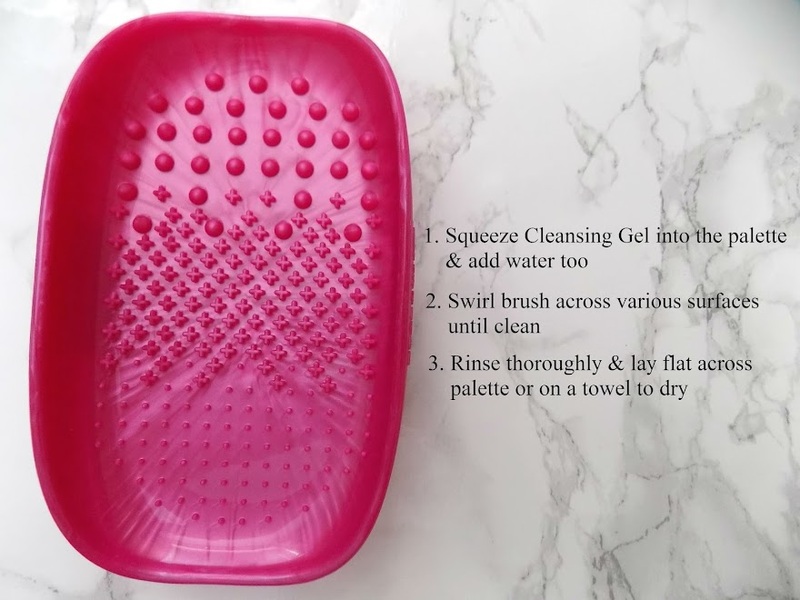 The Real Techniques Deep Cleansing Brush Gel is also a great way to ensure your brushes are super clean. So it depends on how much time I have and how much energy I am willing to put into cleaning my brushes as to which I use. What a great invention right? I mean Sigma brought out a brush cleaning glow which had the different textures on, then they created a flexible mat to put into your sink so you didn't have to use your hand, but this tray is a great way to keep things nice and easy and clean and not make a mess, plus, it also allows you to not have to stand at the sink for goodness knows how long, as you can just use a bowl of water and sit at a table. Convenience and comfort. 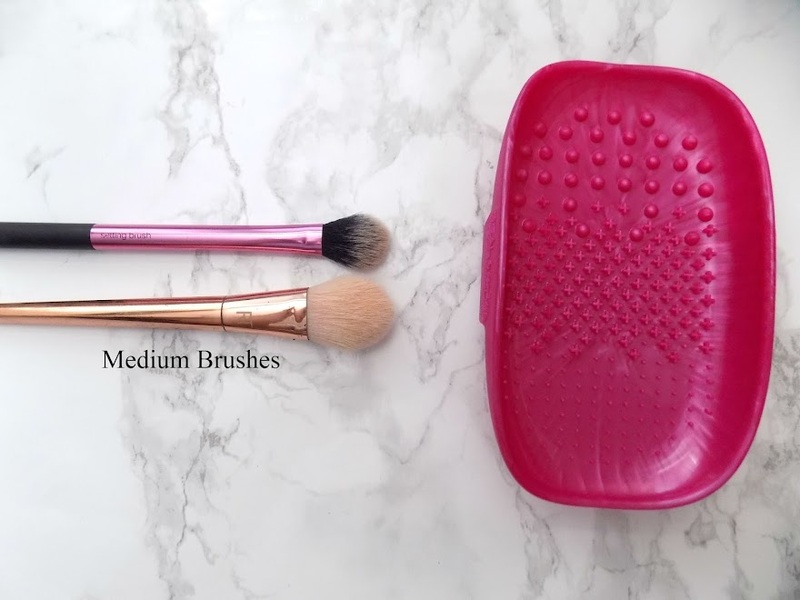 Besides who doesn't like clean makeup brushes? Disclaimer: I have not been asked to write this post. All opinions are 100% honest and my own. I purchased all products mentioned with my own money.